Kaminari UK Taiko is a Japanese style drumming group offering performances and workshops, mainly in and around Yorkshire. We have been playing and performing together since 2009. ​We want to impart our love of this art form to the wider community. Taiko drumming is an energetic and dynamic form of drumming originating in Japan. It combines rhythm and movement to produce a visual, fun and absorbing performance. ​It's confirmed! 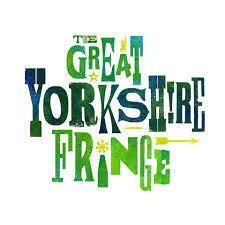 We'll be back at The Great Yorkshire Fringe on Saturday 20th July at 5pm. A bigger venue and an even better show. Get it in your diaries. We had a fantastic time at Dr Shakamoto's recording studio in Leeds. Any *idea* who is playing at the Festival of Ideas? Get June 16th in your diary!